1. 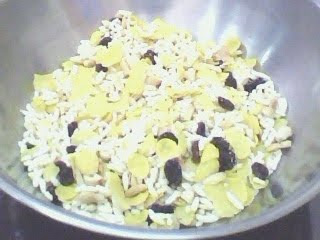 In a mixing bowl, combine raisins, almond, rice bubble and cornflakes till well mixed. Leave aside. 2. 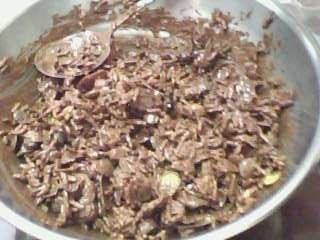 In another mixing bowl, double boil cooking chocolate until melt with medium heat. 3. Pour dry mixtures(1) into melted chocolate and stir well. 4. 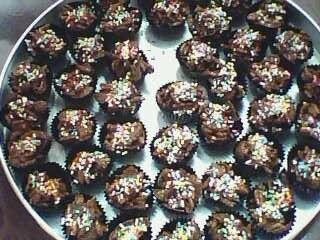 Scoop mixtures into paper cups and coating with colour chocolate rice. Chill till set before serve.